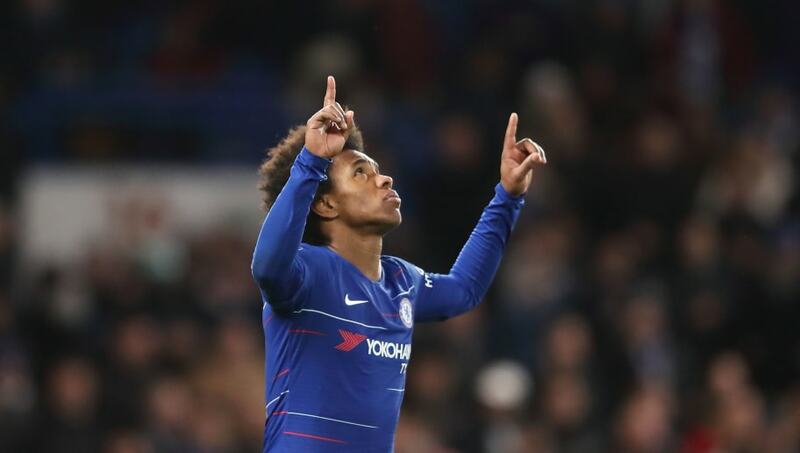 Chelsea are reportedly unwilling to change their contract policy for players over 30, even for prolific winger Willian, who is seeking to extend his stay at Stamford Bridge until 2023. The Brazilian has just 18 months left his on his existing deal, but it has previously been suggested that the 30-year-old wants to stay at the club for the next four years. The ​Evening Standard now reports that despite early negotiations between the two parties taking place, the Blues have made it clear that they will only consider offering him another 12 months. Former teammate Cesc Fabregas, 31, left Stamford Bridge last month and joined AS Monaco on a deal running until 2022, after ​Chelsea similarly indicated that they would only extend his stay by another year. Willian has repeatedly re-affirmed his happiness at playing for the Blues, but Maurizio Sarri's side's new contract offer has placed his long-term future at the west London club in doubt. The winger joined Chelsea from Russian side Anzhi Makhachkala in a £30m deal in the summer of 2013, signing a five-year contract. Since making his debut against Basel in the Champions League in September 2013, Willian has made 273 appearances for the Blues, scoring 51 times.